On May 14, 2014, our office filed a putative class action against Bank of America, titled Newton v. Bank of America, National Association pending in the United States Central District of California Court. If you received an offer for employment with Bank of America in the last five years, you may be a putative class member whose rights may be affected by this lawsuit. Therefore, it is important that you contact us immediately to learn about your rights and provide us with your phone number so we can contact you. You can contact us by e-mailing us at mgt@gallenberglaw.com or by calling us at 818-237-5267. The Criminal Background Check Class: All employees or prospective employees, applicants, or candidates for employment of Defendant residing in the United States who, within the five years prior to the filing of this action, as prescribed by 15 U.S.C. § 1681p, were the subject of a consumer report, as part of Defendant’s standard criminal background check process. The ASI Class: All employees or prospective employees, applicants, or candidates for employment of Defendant residing in the United States who, within the five years prior to the filing of this action, as prescribed by 15 U.S.C. § 1681p, were the subject of a consumer report as part of Defendant’s standard ASI process. On December 19, 2014, the Court ordered Bank of America to provide us with the name and mailing address of the members of the putative class. Bank of America continues to refuse to provide us with the e-mail and phone number of the putative class members so that we can communicate with the putative class members about their rights in this litigation. The trial is currently scheduled to take place in July 2015. Please continue to visit this page to obtain more updates on this case! 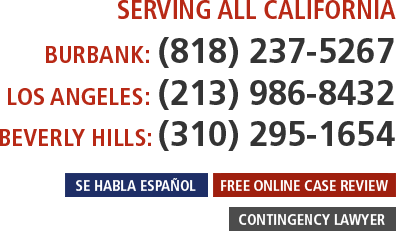 You can contact us by e-mailing us at mgt@gallenberglaw.com or by calling us at 818-237-5267.